"The Keys Of Marinus" / "The Keys Of Marinus" / "The Keys Of Marinus" / "The Keys Of Marinus" / "The Keys Of Marinus" / "The Keys Of Marinus"
One of the best things about Doctor Who’s format, all across the decades but especially in the early years of William Hartnell’s First Doctor, is that it’s free to do almost anything. If the Doctor can travel anywhere in the universe and any point in history, the show is limited, in theory, only by the imagination. And if he never knows where he’s going next, the viewer is always off guard too. When it’s done well, it makes Doctor Who delightfully disorienting—you never know what might be around the next corner. So far in its first season, those surprises had included cannibal cavemen, genocidal alien mutants, and Kublai Khan, emperor of 13th-century China. 1964’s “The Keys Of Marinus” takes that to an extreme, putting the TARDIS crew through a whirlwind quest across the planet Marinus that has them struggling even more than usual to cope with the shifting array of dangers they encounter on the way. Acid seas! Eyestalked brains who rule through mind control! A jungle that screams and kills! There’s almost as much concentrated weirdness and diverse exotic locations packed into the six episodes of this serial as there is in the rest of the first season combined. It’s almost like the series, growing increasingly confident midway through its debut season, was showing off what it was capable of. It’s audacious and bold, and it’s hard not to love it for that. And yet in the end, “Keys Of Marinus” is maybe most notable as an example that more is not better. A mad flurry of ideas can be worse than sticking to just a few, if the constant change-up keeps potentially great ideas from having time to develop into something that actually is great. Written hastily by Terry Nation (writer and co-inventor of “The Daleks”) to replace other planned stories that fell through, “The Keys Of Marinus” came by its unusually extreme episodic structure in part to help Nation and story editor David Whitaker finish the story in a rush. It’s also a favorite trick of Nation’s, though, to split up his characters and send them off on separate journeys over the course of a story, one he relied on frequently in his Doctor Who scripts. Here, though, the episodic quest structure is handled pretty badly. Its flaws are especially apparent when you look at the serial directly after it, “The Aztecs,” which is one of the strongest stories of the First Doctor era precisely because it focuses on one major, compelling story point and thinks it through. Nation splits the plot into five almost totally unrelated stories, all of which are shallow and riddled with plot holes because they zoom by so fast. 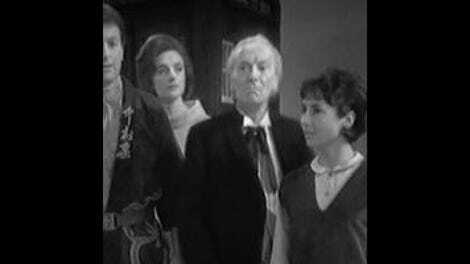 The story begins with the TARDIS landing on an island in the middle of Marinus’ acid sea, where the Doctor, his granddaughter Susan, and her schoolteachers Ian and Barbara soon meet Arbitan, a lonely old man who keeps watch over an artifact called the Conscience Machine. This ominously-named device once kept the peace across the whole planet and created a 700-year period of prosperity by eliminating evil on Marinus. How? Mind control, says Arbitan: People “no longer had to decide what was wrong or right. The machine decided for them.” That sounds a lot creepier than it’s apparently intended to. The Conscience Machine sounds like a device for creating a society of pacified zombies—not more moral but less, because the element of free choice has been removed. And indeed the queasy morality of using such a thing is almost entirely unmentioned except a single statement by the Doctor at the very end of the last episode—the story itself never deals with the issue. The Conscience Machine, it turns out, also had another flaw even worse than telepathic fascism: Anyone unaffected by its power was free to do anything they wanted to the other Marinusians, who would no longer know how to defend themselves. Enter the villains, the Voords, whose rise to power forced Arbitan to remove the Conscience Machine’s five control circuits—the Keys—and hide them all across Marinus. By now, he’s had time to fix the Machine so it’ll work on Voords again also, but he can’t get the Keys back because he’s under siege by the Voords, who want the Machine for themselves. Exactly how long the Conscience Machine has been disabled is unclear. Arbitan says he did it himself, which implies that it happened maybe a few decades ago at most, when Arbitan was a young man. But the entire courtroom subplot in the final two episodes is based on the idea that Millenius has its own complex legal system—which they could only have developed after the Conscience Machine was shut off, since its whole purpose was to decide matters of justice so humans didn’t have to. Arbitan has sent all his friends and family to retrieve the Keys, but none have returned—all dead, perhaps, he has no way to know. With no alternative, he’s forced to turn to the Doctor and his friends, and chooses a surprisingly brutal way to convince them for a guy whose life goal is to return peace to the planet: He threatens them with imprisonment and starvation if they don’t pick up the quest. It’s exactly the kind of thing he wouldn’t be able to do if the Machine were switched back on. • Originally broadcast April 11, May 16, 1964. 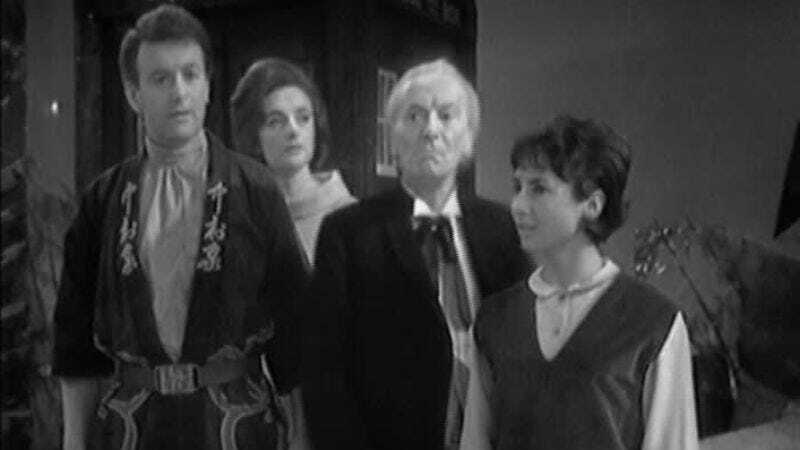 • A little surprisingly, given that Doctor Who was so heavily reliant on episodic stories because of its serialized schedule, “The Keys Of Marinus” was one of the few times the series used the collect-the-widgets quest format, which seems like a natural fit. The only other notable instance is season 16’s Key To Time arc—which I’ve been working my way through over the last few months of this feature, so it seemed appropriate to look in at “Marinus” too. • After Barbara asks if the oddly unmoving ocean they’re looking at is frozen, the Doctor replies, “No, impossible in this temperature. Besides, it’s too warm.” You think?